HubSpot has many agency partners worldwide, all helping to spread the Inbound message and empower organisations with the tools to help millions of companies grow. HubSpot agency partners help companies across the globe with everything from Inbound Marketing strategic advice, all the way through to providing a fully outsourced marketing department and functions. But why is there such a demand for the support of HubSpot partners? Well, HubSpot is a fantastic software company, but in order to get the software used by millions of customers worldwide, it needs support across the world to help people actually use the software. Partner agencies give you just that, the knowledge on how you get the software working within your marketing and sales activity. No hypothetical scenarios, they get the technology working for YOU. A HubSpot Partner can not only help you to set up the software, but also support you throughout the whole process of preparation, implementation & onboarding, launch and growth. As well as getting HubSpot to work for you, HubSpot Partners will also help you with any difficulties or obstacles you face, whether HubSpot, or more general marketing or sales related. 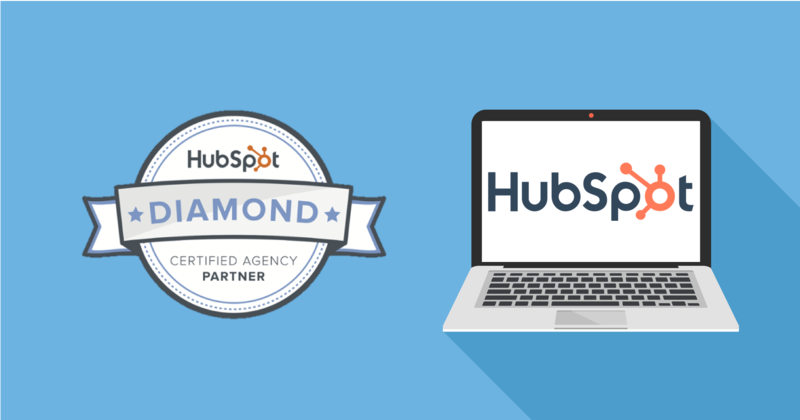 This blog post will identify exactly how we, as a Diamond HubSpot Growth Partner, can help and assist you through this process. So how do we help you to set up HubSpot? Firstly, we study your current buyer personas if in place, and identify whether there are any edits, or any new ones that need to be created. Buyer personas help you to better understand your potential customers and identify their business pain points. Using buyer personas you can then create relevant, targeted content that helps your potential customers to solve their current business issues. By understanding your industry, your typical customer and your ideal customer in much more detail, we can understand and advise on which content formats and topics will be most relevant to them. This will help to build a content strategy that has the best chance of success. Buyer personas can be identified through research, surveys and interviews of your existing customers and prospects that match your target audience. This can be an arduous process - so to make your life easier, we can use our experience to help you gather information, data and insights about your existing customer base that will be useful in creating your buyer personas. Managing your leads is ten times easier when using HubSpot. But, in order for this to be successful and help your company grow, it needs to be set up correctly. This involves making sure that your contact properties are set up and in place to store valuable information about the leads you keep in your database. In order to help you take leads from unknown visitors all the way through to long-lasting customers, you need HubSpot set up correctly - this includes setting up notifications and workflows, as well as sales management. By really understanding your marketing and sales process and what a ‘good’ lead looks like, we can can help you to manage your pipeline through HubSpot training and outsourced management of your HubSpot portal - thus increasing your sales opportunities! We’ve seen what works and what doesn’t, and such can advise on how best to set up your marketing to sales handover. As part of our HubSpot onboarding process, during the lead management workshop our consultancy team will map out lead management processes for both marketing and sales, document the processes, and create workflows to support new processes agreed upon. You most likely wouldn’t - and if you did, it wouldn’t turn out to be your dream home. It’s important to appreciate that if you’re going in blind, you’ll miss the mark. Content is vital in Inbound Marketing. It’s an integral part of your website and deserves a lot of time and dedication. Inbound Marketing is about attracting people to your website, not interrupting them. Without valuable content targeted at your audience, you won’t be able to attract people to your business. So let’s start creating then? Let’s take a step back to my previous point… you must strategise. Content without strategy is just stuff. You need to have a plan in place beforehand if you wish for your content to be successful. Yet, building a strategy and implementing it can take a very, very long time! Some don’t have the skills but even when there is talent, there sometimes just isn’t enough time! In the preparation phase, we will help you to review all of your current content, identify content gaps and, based on the findings, help you to build a strategy for attracting new prospects to your business. In addition, we will conduct an SEO review of your website - this is to ensure all the pieces fit together and the website is optimised to give the website the best chance to bring in new visitors and turn them into leads. Understanding what SEO is might not be hard but mastering it takes numerous skills and a lot of knowledge. Not to mention search engine algorithms are constantly changing, and so that means best practices for optimising your website change also. It’s why you need someone who understands - studies, lives and breathes it - an SEO expert of a successful growth-oriented consultancy who will increase your website’s rank on search engines. So all the planning is done, you have your new HubSpot username and password and are ready to login to the system, but what next? As part of our HubSpot set up support, you will receive help with your lead capture and management from agreeing on functionality to managing them through a marketing and sales integrated CRM platform. A content process will also be agreed upon. This involves brainstorming content ideas that are based upon the pain points and challenges of your buyer personas and current industry trends. Your business needs a presence online - and we’re not just talking about your website. A social media strategy will also be a part of the implementation that we can help with. What needs to be decided on is what platform your audience is most active on so you have an active presence on those channels, and that your branding is up to date and consistent. The implementation typically offers an SEO report, email marketing and CRM integration. Everything will be tailored for you which means the plan will involve steps to be taken that would be most relevant and useful to your business specifically. The full implementation begins with purchasing a HubSpot license. You can choose a subscription that best suits your business’ requirements. Let’s say you have decided to move your website onto HubSpot. A Partner can install tracking codes and migrate your previous website pages so that HubSpot can create new templates that match and maintain your brand’s style for use on your new website.. Next, you will want to have built CTAs, landing pages, forms and thank you pages - making conversions possible! A very important next step is to set up your blog in which you can include all or your best content from your previous website - we will ensure the subscription functionality is included. You will have email marketing campaigns set up and email templates created within HubSpot ready to be sent out to lists of people in your contact database and future qualified leads. Dashboard reporting will be visible every time you log into your HubSpot portal so that you know how you are performing and don’t need to compile a report. You will also have the option to customise the data so that you see what you are most interested in right on top. Quite a lot to look at right? The launch might be the most exciting part of the whole process. When you go live with your HubSpot portal, you will launch your blog, some landing pages, you’ll start some email marketing and workflows and start using the social media tools. Once you start using the tool, you can automatically start analysing and reporting on conversion rates, web traffic, social media success, email opens. If you’re hosting a new website in HubSpot, there’s a tonne of testing that needs to be at this stage, click every link, look at every word, check every page and image, check all meta data and headers. . If you’ve added HubSpot only to be used for your landing pages and blog, you guessed it - there will be less testing to be done - but still a fair amount. This is a task that requires a lot of attention, time, resources and HubSpot savviness - all of which a Partner can provide. Testing is necessary in order to discover which current marketing efforts are working and which are not. A/B testing is recommended to see which web pages are performing the best so that the more effective methods are used in the future. This type of testing can also help gain a better understanding of what your audience wants to see. You want your new website to be seen by others - so now it’s time to promote it. This can be done through social media, SEO & PPC. We’ve only been talking about your website so far - but a HubSpot Partner can take care of your social media as well. At this stage, a Partner would have gathered enough information and developed an understanding of your target audience, your core messages and your buyer persona language to manage your social media. With expertise in social media marketing, you can rest assured the right Partner will help to promote your business through social media channels. Some Partners also offer PR (public relations) and PPC services. This will ensure your business has even more opportunities to stand out through valuable PR coverage and have more targeted promotion through pay-per click advertising. Partners will also, of course,improve your website from an SEO perspective. From then onwards, your website is on a continuous Inbound Marketing programme which includes eBooks, blogs and other promotional resources. This can all be outsourced to a HubSpot Partner - meaning you can rely on HubSpot Inbound Marketing experts to provide these for you. So, whatever it is you want to achieve through HubSpot, it would not only save you time but also help enormously to have hands-on support with the tool. Need help with your whole HubSpot Setup? 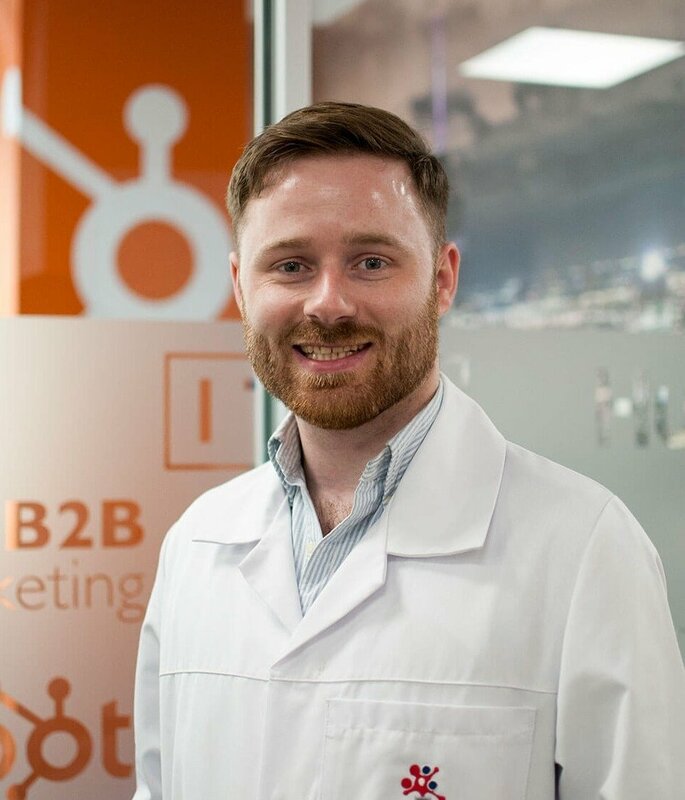 With the right HubSpot Partner, one who takes the time to understand your company within your industry and your requirements, you can rest assured your needs will be met.